 程俊, 叶芳, 张伟, 等. 储能用质子交换膜电解池的发展现状[J]. 化学与生物工程, 2015(1): 1-7. Guo, Q., Ye, F., Guo, H., et al. (2017) Gas/Water and Heat Management of PEM-Based Fuel Cell and Electrolyzer Systems for Space Applications. Microgravity Science & Technology, 29, 1-15. Xiao, H., Guo, H., Ye, F., et al. (2016) Numerical Study of the Dynamic Response of Heat and Mass Transfer to Operation Mode Switching of a Unitized Regenerative Fuel Cell. Energies, 9, 1015. Wang, L.L., Guo, H., Ye, F., et al. (2016) Two-Dimensional Simulation of Mass Transfer in Unitized Regenerative Fuel Cells under Operation Mode Switching. Energies, 9, 47. 王昭毅. 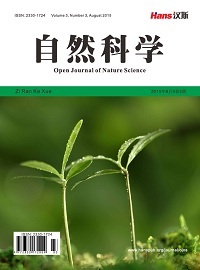 质子交换膜电解池两相传质及性能的研究[D]: [硕士学位论文]. 北京: 北京工业大学, 2014. 赵金钢. 燃料电池和电解池内部两相流的数值模拟[D]: [硕士学位论文]. 北京: 北京工业大学, 2010. Nie, J. and Chen, Y. (2010) Numerical Modeling of Three-Dimensional Two-Phase Gas-Liquid Flow in the Flow Field Plate of a PEM Electrolysis Cell. 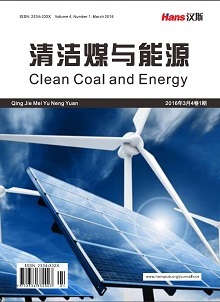 International Journal of Hydrogen Energy, 35, 3183-3197. Han, B., Mo, J., Kang, Z., et al. (2017) Modeling of Two-Phase Transport in Proton Exchange Membrane Electrolyzer Cells for Hydrogen Energy. International Journal of Hydrogen Energy, 42, 4478-4489. Aubras, F., Deseure, J., Kadjo, J.J.A., et al. (2017) Two-Dimensional Model of Low-Pressure PEM Electrolyser: Two-Phase Flow Regime, Electrochemical Modelling and Experimental Validation. International Journal of Hydrogen Energy, 42, 26203-26216. Cao, T.F., Lin, H., Chen, L., et al. (2013) Numerical Investigation of the Coupled Water and Thermal Management in PEM Fuel Cell. Applied Energy, 112, 1115-1125. Lei, X., Liu, X., Alaje, T., et al. (2014) A Two-Phase Flow and Non-Isothermal Agglomerate Model for a Proton Exchange Membrane (PEM) Fuel Cell. Energy, 73, 618-634. Carmo, M., Fritz, D.L., Mergel, J., et al. (2013) A Comprehensive Review on PEM Water Electrolysis. International Journal of Hydrogen Energy, 38, 4901-4934. Mitlitsky, F., Myers, B., Weisberg, A.H., et al. (1999) Reversible (Unitised) PEM Fuel Cell Devices. Fuel Cells Bulletin, 2, 6-11. 张亚, 朱春玲. 质子交换膜燃料电池二维全电池两相流综合数值模型[J]. 化工学报, 2008, 59(1): 173-181. Meng, H. (2007) A Two-Phase Non-Isothermal Mixed-Domain PEM Fuel Cell Model and Its Application to Two-Dimensional Simulations. Journal of Power Sources, 168, 218-228. Zamel, N. and Li, X.G. (2010) A Parametric Study of Multi-Phase and Multi-Species Transport in the Cathode of PEM Fuel Cells. 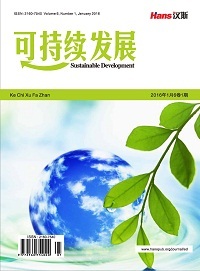 International Journal of Energy Research, 32, 698-721.